The Powered Liftmate scissor lift is powered by hydraulic lift and front-wheel drive. The unit is power-driven with a battery powered lift. 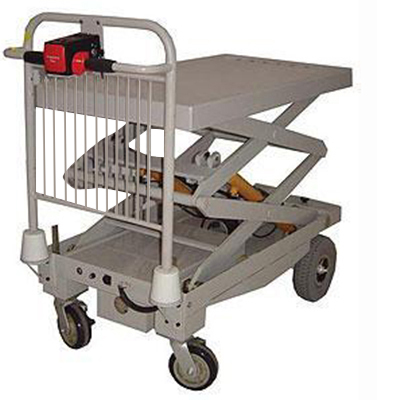 It has a 450 kg lift capacity and a large deck suitable for relocating heavy items easily. Fitted with 250 mm diametre semi-pneumatic grey non-marking drive wheels, and 125 mm non-marking polyurethane castors, it is easy to use and highly manoeuvrable. Ideal for relocating heavy items.